Item # 307781 Stash Points: 4,995 (?) This is the number of points you get in The Zumiez Stash for purchasing this item. Stash points are redeemable for exclusive rewards only available to Zumiez Stash members. To redeem your points check out the rewards catalog on thestash.zumiez.com. 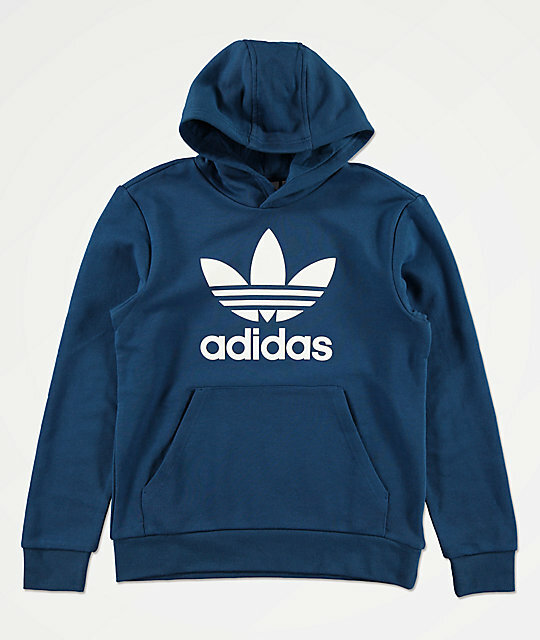 Classic in every sense, adidas presents their signature Trefoil Blue Hoodie, now available in youth sizing! Constructed with a soft French terry lined interior, this comfy pullover garment offers a plush fit and feel while designed with adidas' iconic Trefoil logo graphic on the chest. 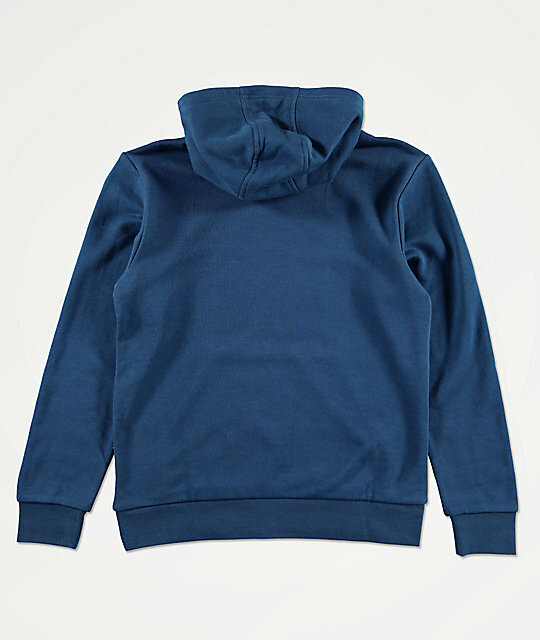 Trefoil Blue Hoodie from adidas. Screen-printed adidas Trefoil logo graphic on chest. Length: 24.5" (62cm) from top shoulder seam to bottom hem on youth size Large.